There are certain traditional dishes that spell romance. Just as red roses and chocolates paint the picture of a timeless gift representing romance, a roulade is a traditional romantic meal for two. 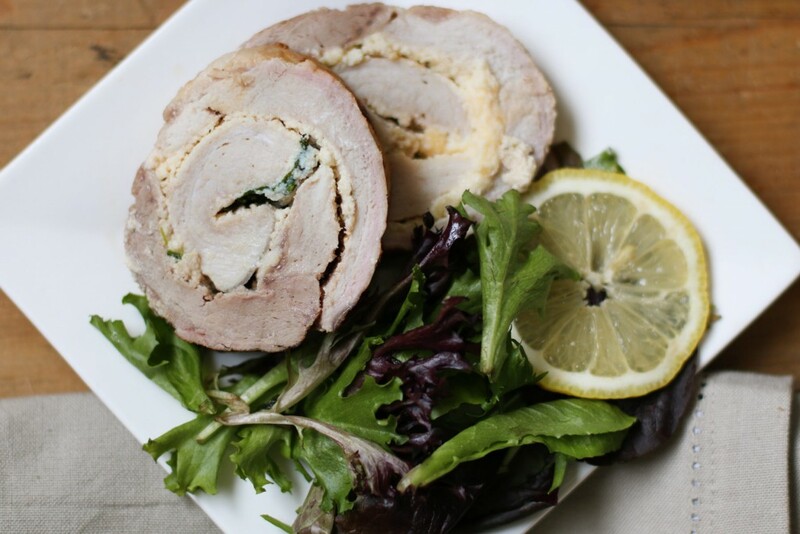 Although a pork tenderloin roulade usually makes enough to feed a whole family, there’s something timeless and romantic about the spiraled meat dish served with a light salad. So, for this Valentine’s Day if you’re looking for the classic romantic dinner, look no further than right here. 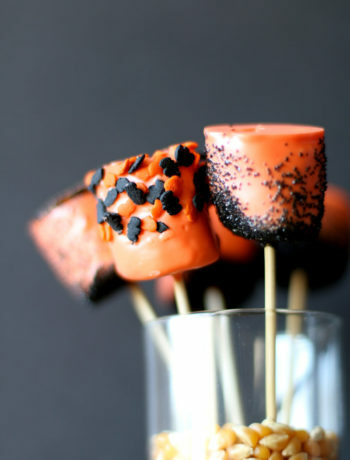 Preheat the oven to 375. Prepare the pork tenderloin by filleting it, twice, and pounding it to tenderize the meat. 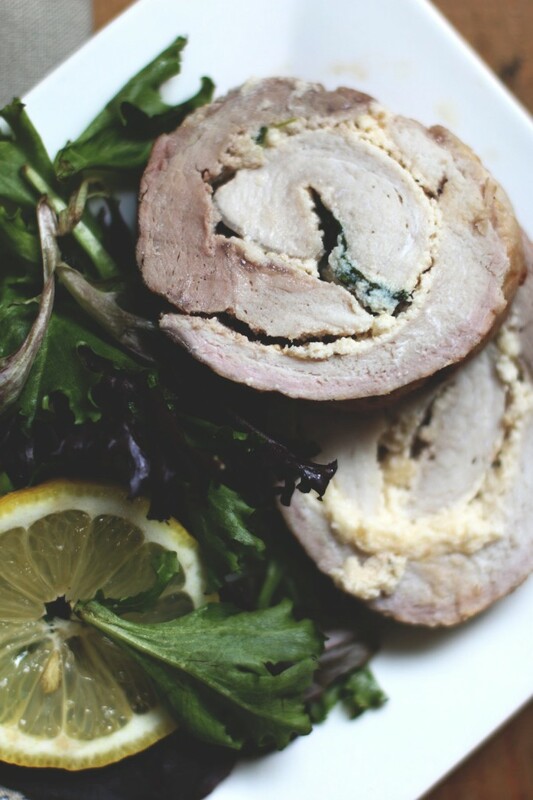 You can watch a video or get a step-by-step guide on how to prepare the roulade and the tenderloin here. After the pork has been filleted and tenderized, place aside and prepare the filling. In a large bowl mix in ricotta cheese and the cream, a little at a time, until the ricotta becomes creamy and spreadable. Stir in the spinach and salt and pepper. 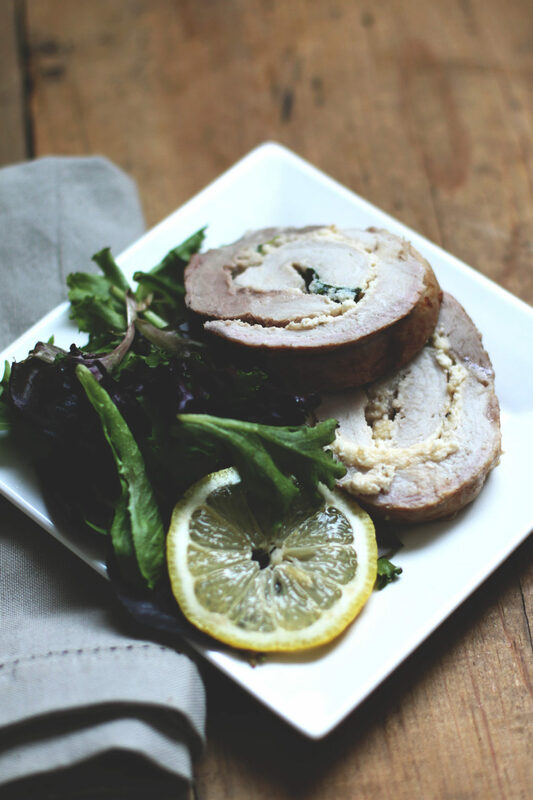 Spread the filling onto the filleted pork tenderloin, leaving room around the edges to prevent spillover when you start to spiral the roulade. Watch this video for a detailed instruction on how to roll the roulade and how to tie it up correctly. After the roulade is prepped and tied, cook for 20-25 minutes, or until the inside of the meat has reached a safe temperature. For pork, this should be no less than 145 degrees Fahrenheit. Once the roulade is cooked all the way through, cut the strings, slice, and serve warm.